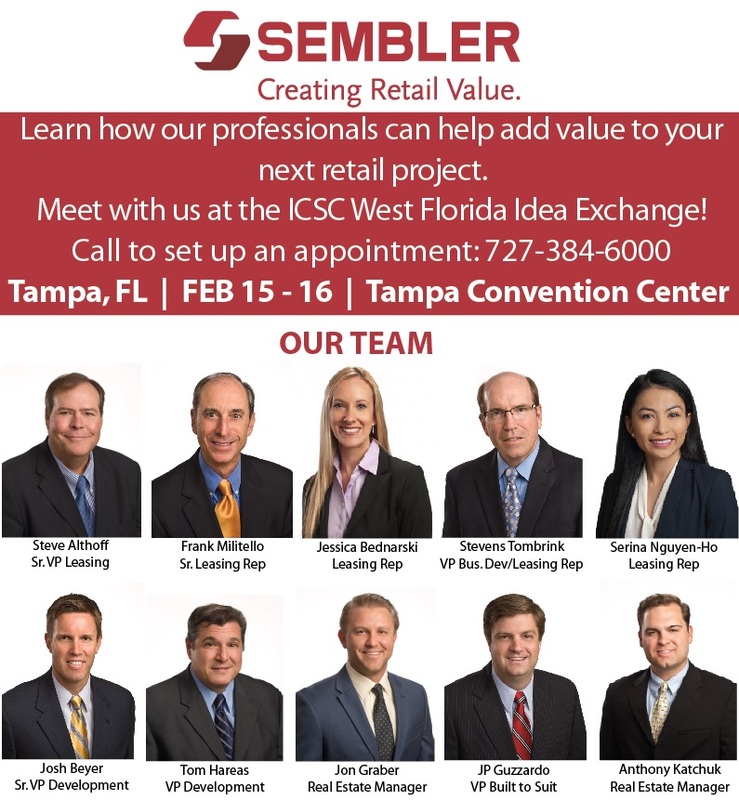 Don’t miss your opportunity to meet with our team at the ICSC West Florida Idea Exchange! Idea Exchanges provide education, networking, and deal-making on a smaller scale than Regional Deal Making events. Gain information about the most current, local industry issues, and meet with local colleagues in the area. Learn how our professionals can help add value to your next retail projects. Call to set up an appoint 727-384-6000 or email us at leasing@sembler.com!